Or, alternately, "how I managed to screw up one of the easiest blocks in the history of the world." I tell ya, my blog earns its name. 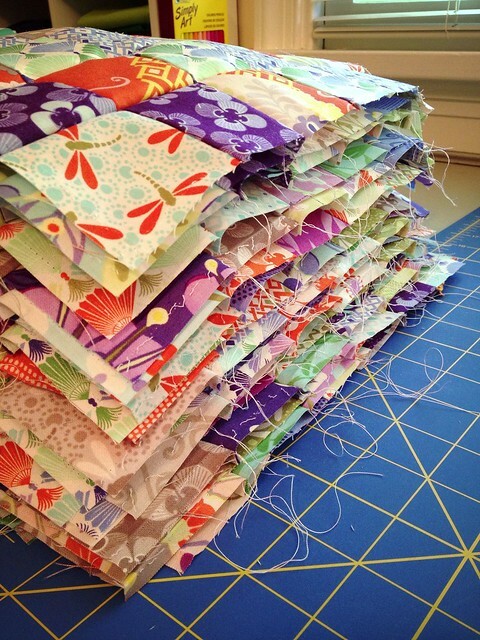 I've been making progress on my scrappy trip, and the other day I had a big ol' stack of blocks that were at the point where they were in the little pieced strips, but still needed to be seam ripped into the different strips for the block. Go here if you are royally confused. I'll wait. 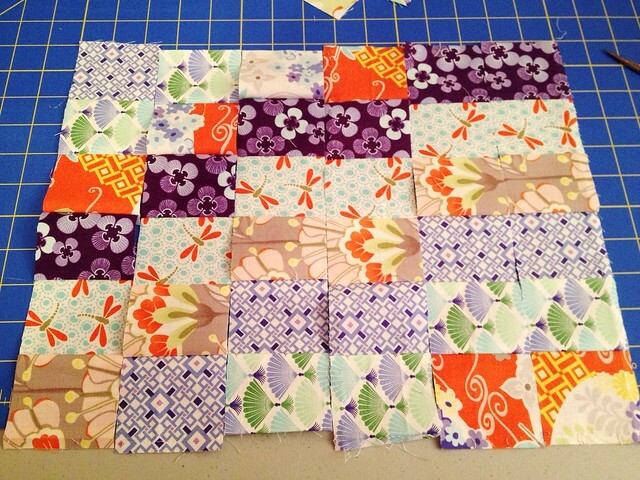 Ok, so these blocks and I were sitting on the couch, watching netflix and seam ripping (Prison Break, I think?) and apparently, I can't multitask that well. Yep. Somethings not right... At least I figured it out before I put the whole block together. But I had to seam rip the two rows I put together, and then re-piece the strips that were wrong, and then seam rip them at the right places, and then sew the rows back together to make the block. BUT! 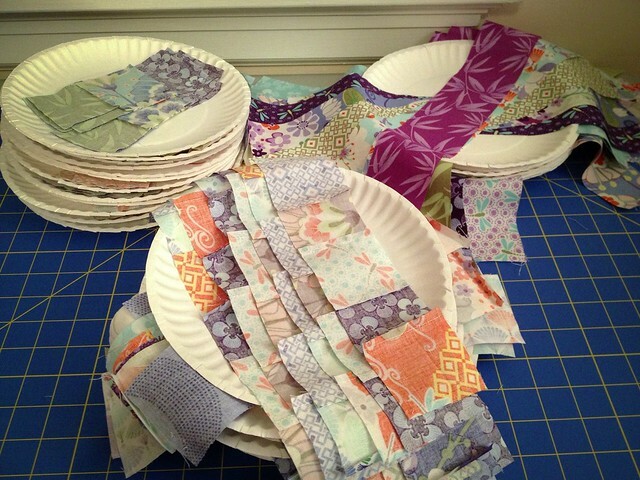 I have a pretty stack of blocks that are all done and ready to be pressed and trimmed. So yeah, I win. They're very fluffy. I have the urge to squish them. Lovely blog...don't see ineptitude here! We all have our own "Doh" moments. I was going to say "at least it was only one mistake" until I looked more closely and saw two... :) Nice to know we're all in the same boat when it comes to things like this! It is the end result that matters right????? My words to live by anyway. The colors are gorgeous and it is going to be awesome when you finish doing up the undoing. I feel you. I made a big bonehead mistake on a 64" seam last night. grrrrr! ouch! I bet it turned out ok, though! I did the very same thing a couple of times with those blocks. And I wasn't even multitasking! This will be a beautiful quilt. Love the fabric. I don't even want to admit how many times I've ripped between the wrong pieces making those blocks!